Recently the new HK Models 1/32nd scale Meteor IV was released to a solidly good response from the modelling community. There really weren’t that many choices for good markings for this it until recently. Inspiration and some great first-hand picture reference came to Didier Thomas when he met Sgt. 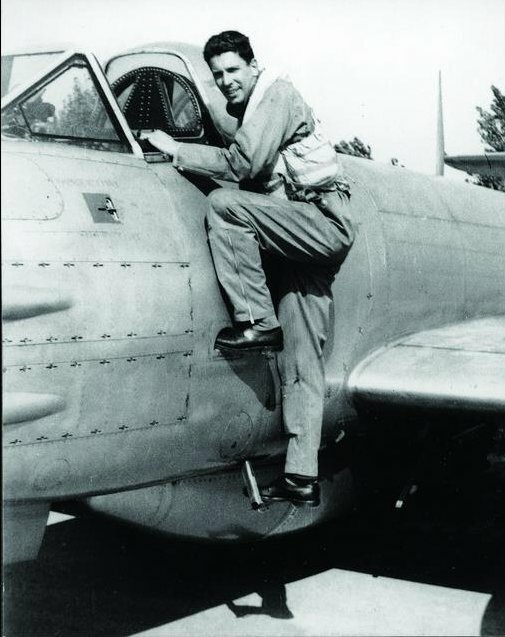 Harry Saeys - the Meteor pilot…. 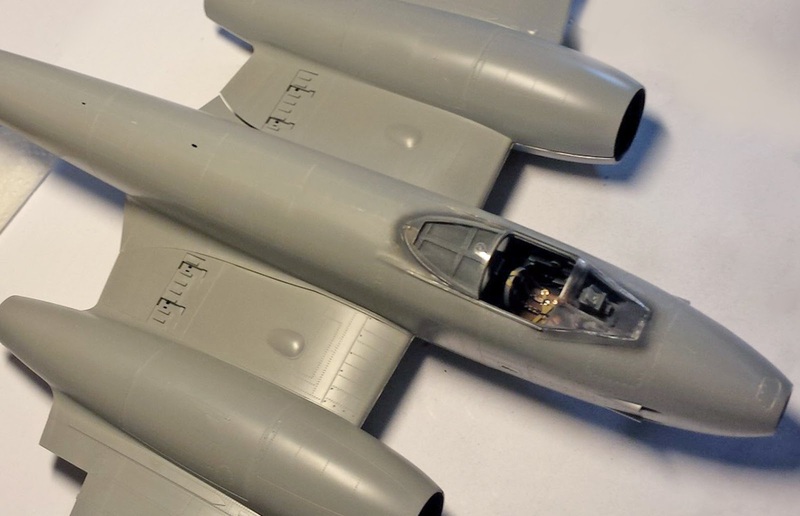 The Gloster Meteor Mk.4 is the third release of HK Models. Compared to the other two (the B-25 and the B-17), this one is pretty straightforward. 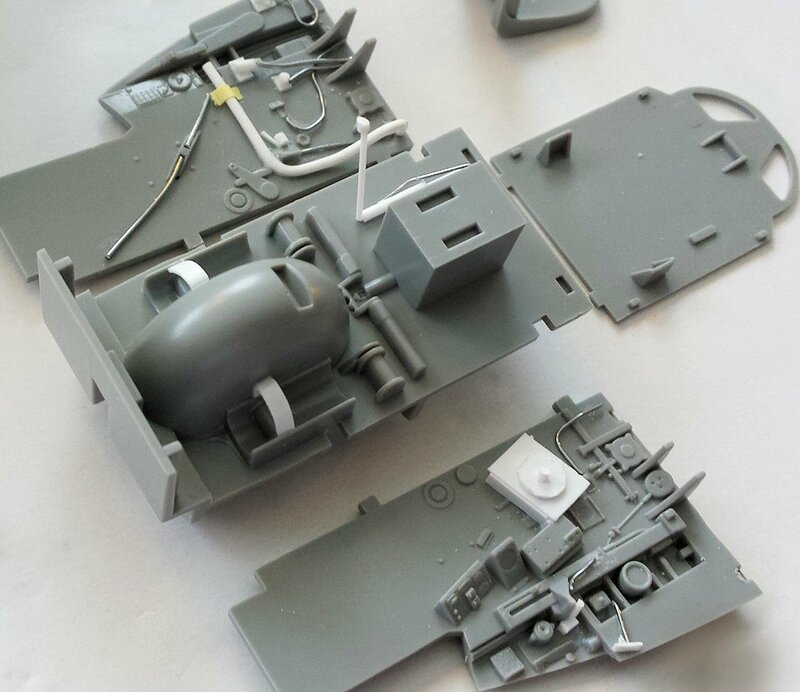 There are four sprues of grey plastic with one clear sprue for the canopy. There is a simple nose-weight added as well as decal choices for an Argentinian and a British Meteor. 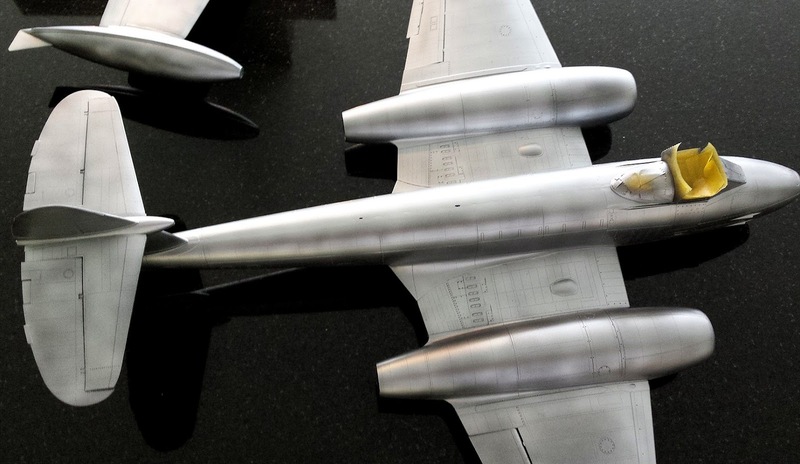 The release of the Gloster Meteor F.4 by HK Models allowed modellers to build an aircraft that for many countries represented the first jet in their air forces. One of those countries is Belgium. In 1949, the Belgian government bought 48 Meteors F.4 for an amount of just under £1,5 million (or £31.250 each !!). In April of the same year, the first aircraft were delivered. 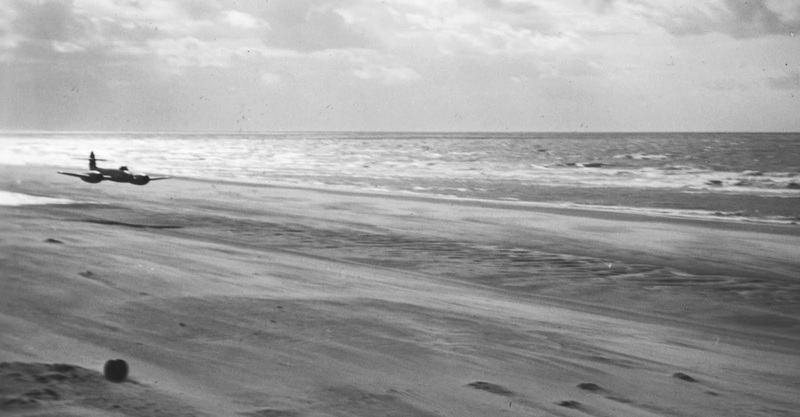 Photolegend: A Belgian Meteor F.4 at high speed only feet above the beach in a daring high speed pass. A few years ago, an interesting 52-page book was published on the Meteor F.4 in service with the Belgian Air Force. In it is the story of one of the first pilots to fly the aircraft: Sgt. Harry Saeys. I had the pleasure of meeting Harry when the book was released and from that meeting came the idea to model his kite…. Photolegend: Sgt. 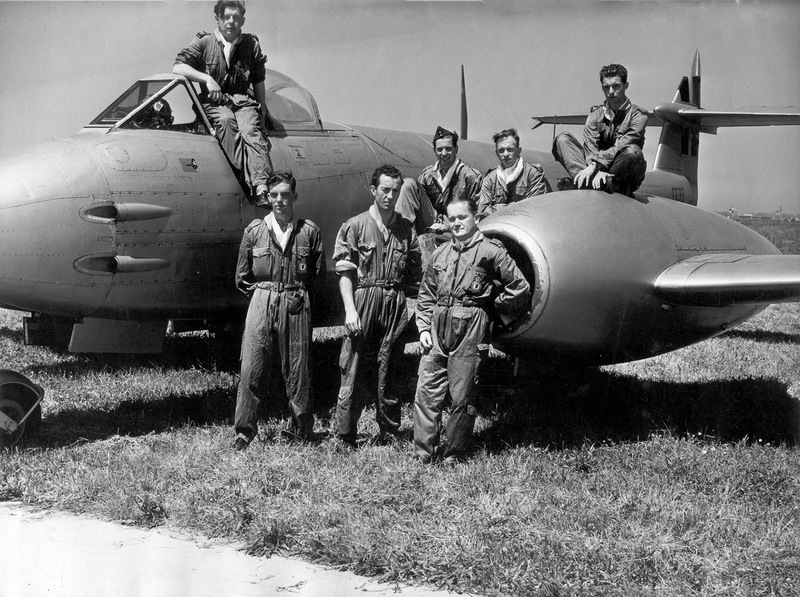 Harry Saeys, wearing a hat, sits on the wing of a BAF Meteor, together with fellow pilots in 1950. 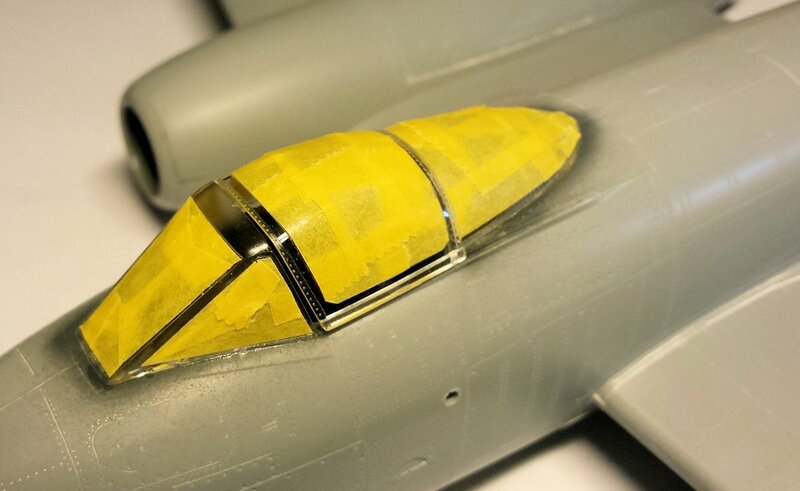 Only a few weeks after the HK Models Meteor became available, Xtradecals released a set including a Belgian Air Force Meteor. Imagine my surprise when I noticed that it was for the aircraft of the very same pilot: Harry Saeys. Nothing was left to stop me from building the kit, using the Xtradecals and have the model signed by the pilot. Although the cockpit is quite nice from the box, Didier added some extra detail. Even though the cockpit is rather dark when the fuselage is closed-up, these extra details really are worth the effort. With the cockpit and the nose wheel compartment attached to it done, the fuselage was closed-up. The long seams needs some cleaning-up, which has to be done with care, in order not to lose too much of the rivets and panel lines. 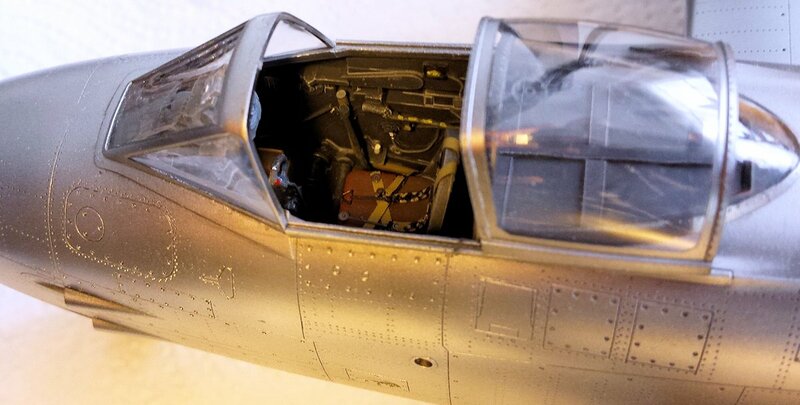 The fairly plain looking cockpit was detailed up with scratch-built parts. Some care has to be taken with the engine intakes of this Meteor. You might have some trouble to get the engines perfectly aligned with the wings; in this case, some sanding was necessary. Didier painted the insides black before he gave them a layer of metal. The wings themselves are packed with rivets, so Didier was careful to glue them into the right position. The finesse of the kit demands to test-fit it regularly so not too much putty is used. Some was used on the wings-fuselage assembly. Nothing too complex, though! Probably one of the biggest jobs with this kit is getting it ready to paint. Which means: making sure everything is flush and polished. Bring out the micro-mesh! Didier made his own canopy masking with thin strips of Tamiya style tape. 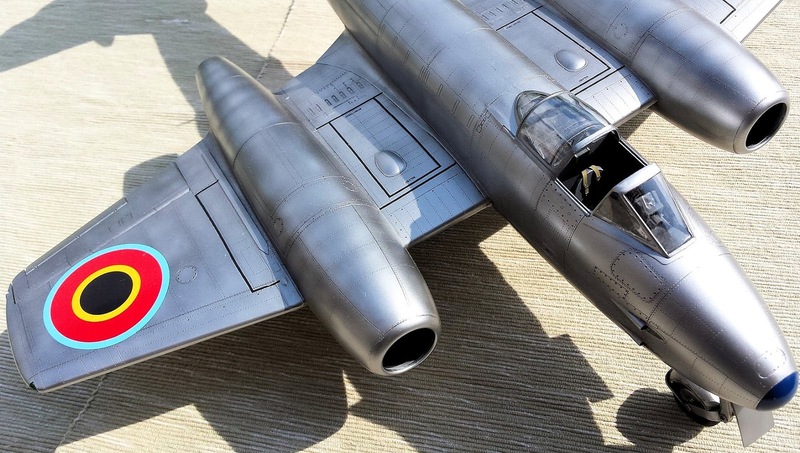 The Belgian Meteors were painted silver, so after masking the canopy and the wheel bays, Didier painted the model gloss black to get a good base coat for the “High Speed Silver”. 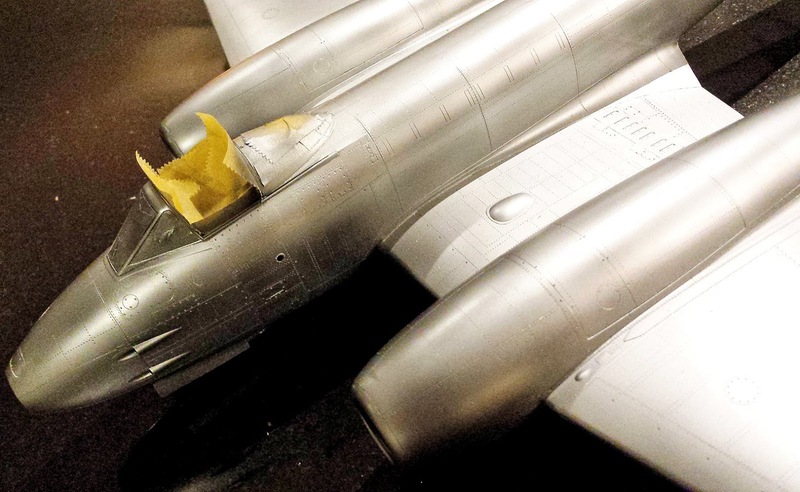 Being pretty dynamic with a few kits on the go, he also prepared an F-84G in the same manner, so he could get them both painted. Didier used 2 layers of Alclad aluminium, with the second one to fill the panels more prominently to liven everything up. A very thin layer of black was sprayed on the panels to give the metal even more depth. With the metal painted, the kit was polished again and prepared for the details and the decals. Landing gear, wheel bay doors and canopy were ready, now it was time for those decals. Nootice dark panels to shade the model for more depth and an organic feel to the otherwise one-dimensional silver paint. 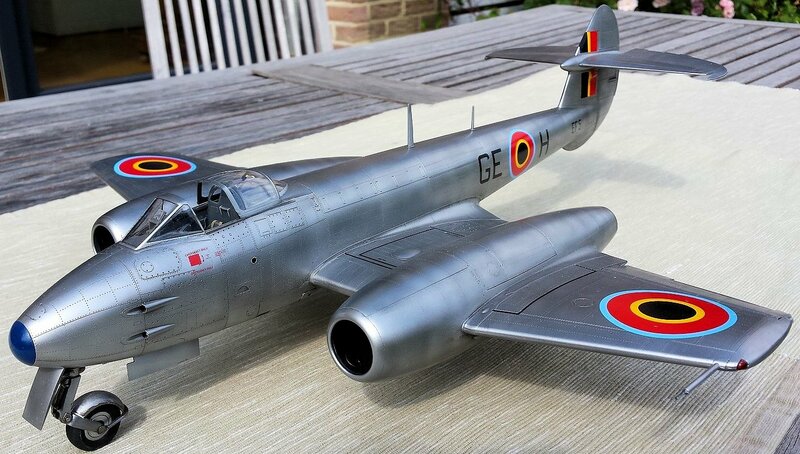 Harry Saeys Meteor has a dark blue nose, which gives the aircraft a nice touch of colour. The roundels are quite big, but the decals are strong enough to be handled around the kit. Some decal setting is useful though! The decals are part of a set by Xtradecal that also contains decals for an Argentinian, Egyptian and Danish Meteor. Stencilling came from the kit’s decals. And here she is in her glory! So, here’s the finished Gloster Meteor F.4 GE-H, flown by Sergeant Barry Saeys 64 years ago. All that is left to do is to meet Harry and get his signature on the model! We’ll stay in touch! 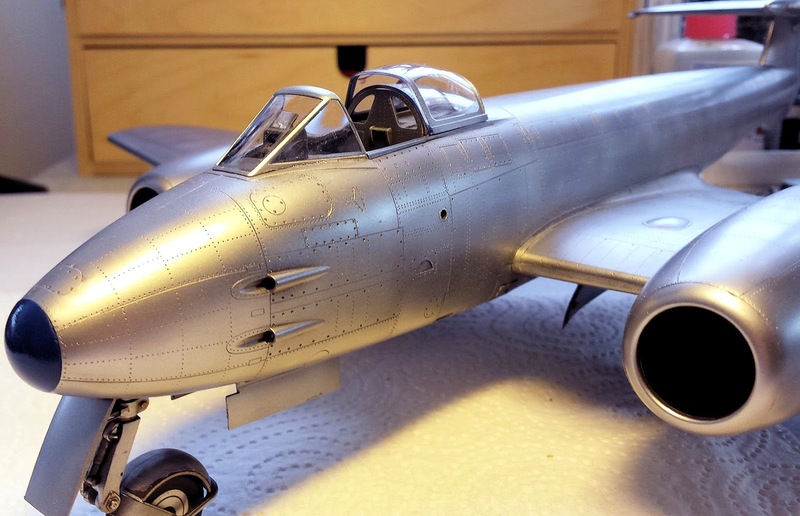 You can get the 32nd scale HK Models Meteor F.4 from HK’s Worldwide distributors..